www.jogjadestination.com -- Traditions Hajad Dalem Garebeg Palace Yogyakarta. Traditions Hajad Dalem Garebeg Mulud Tahun Dal is a special celebrtion, because there is the Gunungan Bromo or Gunungan Kutug that is only made once in eight years. The word 'Bromo' in Javanese means fire. The gunungan was marched with five other gunungan from Pelataran Keben to the Grand Mosque. After they were blessed, Gunungan Bromo was taken back to the palace, while the other five were given to the people to grab. 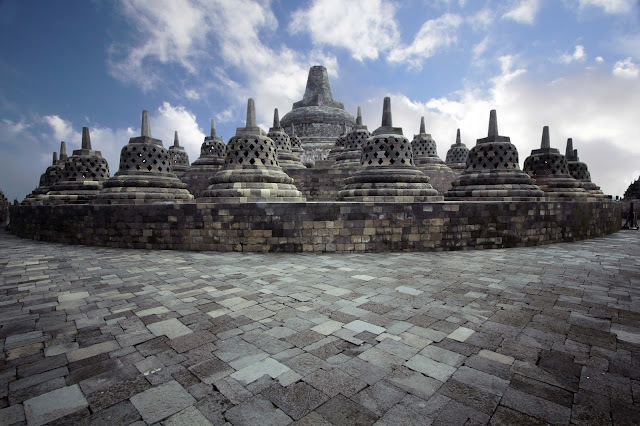 Besides, one Gunugan Lanang was taken to the Pura Pakualaman and another one to the Kepatihan. Gunungan Bromo consisted of rengginang (rice crackers) in red, blue, yellow, green, and back colors. All of these gluttonous rice-based foods were tied togetherand was covered with Bangun Tulak cloth at the bottom. The top of the gunungan was always smoking from the stove at the bottom of the gunungan, and was essentially the symbol of the spirit of life. After it reached the Gedong jeneng yard, the Sultan took several parts of the Gunungan Bromo, followed by the famlies, relatives, and the Palace Courtiers. 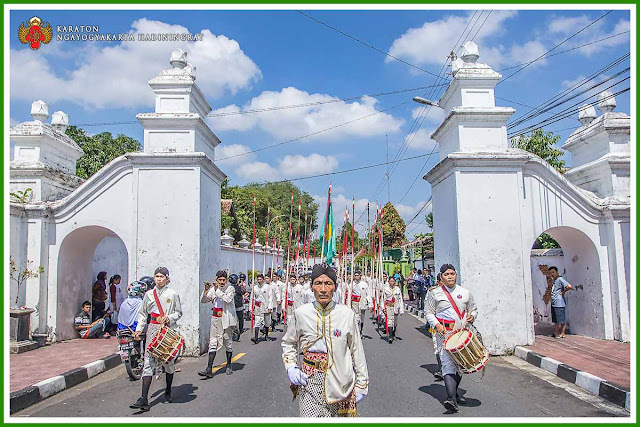 0 Response to " Traditions Hajad Dalem Garebeg Palace Yogyakarta"